Children with special needs have fathers whose unheard stories about the complications of pregnancy, wives on bedrest, premature childbirth and diagnosis of their newborn babies are as compelling and unique as many of their mothers' tales. Some dads speak on parent panels at disability related workshops and conferences; others write articles and books. 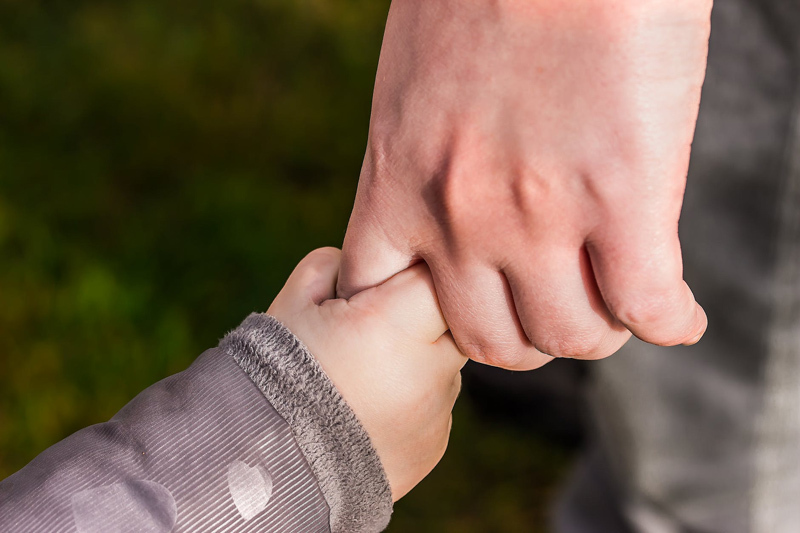 It is also important to remember that a certain percentage of fathers simply walk away from their families and responsibilities to their children, whether a baby has a disability or not. Some choose to continue relationships with siblings and do not acknowledge their son or daughter with a diagnosis. Others make a show of affection for their child with a disability in public but do not include the child in their private lives. These are options that are accepted as understandable and defensible in our culture. Fathers, sons and brothers may have different relationships within families than sisters and daughters, and husbands may also be coping with how fatherhood changes their relationship with wives and everyone else, especially during a complicated pregnancy or childbirth. Father support organizations have been created in local communities and throughout the internet so that men have the opportunity to gather information as well as becoming strong advocates for their sons and daughters. Grandfathers, uncles, brothers and especially dads are important in every child's life. Wives benefit from support and encouragement of their husbands, but babies born early, who have a complicated birth, prenatal or newborn diagnosis, each need a strong relationship with their father. Sometimes it takes a while a couple to get comfortable with their new roles as parents when a baby is full term, the nursery is ready, and there is little drama in the birth or delivery. Moms and dads are not often 'in sync' when any newborn is in the house. When a baby has arrived after a complicated pregancy, unusual birth or diagnosis of special needs, it's hard to tell how many of the challenges parents face are due to the more common causes; exhaustion, stress, unexpected turns of events, and just not being ready. During labor and delivery, it is the father or partner's responsibility to manage what the woman in labor has to let go on to focus on the birth. There may be language and communication difficulties if English is not the primary language spoken in the family, or if one or both parents is deaf, and an interpreter is not provided. When there is no other communication factor, fathers often need to be both interpreters and diplomats when new moms feel overwhelmed or in need of privacy. Friends and extended family may feel uncertain about how they can step in, and although fathers might not have practice in asking for help, many take on the responsibility and forge ahead. In unusual circumstances, this may be more difficult. The dad may be struggling with too many details and uncertainties. Those who wish to help may hesitate, worried about 'saying the wrong thing' or intruding, and contribute to the father's isolation and stress. Sometimes both parents are uncertain how to ask for what they need, or how to refuse what takes them away from their newborn rather than giving them more time with the baby or one another. In some families, there is enough confusion or discomfort that parents ask for help, and the answer is no. Fathers and mothers of all newborn babies deserve regular doses joy and celebration, and time to get to know their son or daughter in peaceful, private moments. Dads may have fewer opportunities because the focus remains on the mother and child, and he may have other responsibilities that take him away from the center of his family. When a baby is born following a complicated pregnancy or childbirth, or has an early diagnosis of special needs, the individual family has to invent or build their primary circle of support outside the mainstream of their community. Some find themselves inducted into the world of the newborn intensive care unit; others in early intervention centers for infant stimulation or therapy; most spend an extraordinary amount of time in vehicles travelling to and from medical appointments. Fathers may find that these venues are geared specifically toward mothers, and assumptions may be made that dads are not interested; they may feel they are not expected or welcome. Patience and a sense of humor can help fathers get through many situations, but both might be in short supply when most needed. Advocacy organizations and internet discussion groups are great resources for contact with parents who have similar experiences, whether in person or through articles and books. Sometimes it helps to talk with other fathers about shared experiences - comparing notes on medical specialists, special programs, and how often men's rooms in early intervention centers are used as storage closets. Every father is unique and wonderful, and deserves congratulations, support and encouragement as his family grows. We should not wait until their one day in June to show them how much we appreciate, admire and love them. Especially during those stressful early weeks and months, their greatest strength may be that they can be taken for granted until their special day. Browse at your public library, local bookstore or online retailer for books by fathers of children with disabilities, like: Uncommon Fathers: Reflections on Raising a Child with a Disability by Donald J. Meyer and Fragile Beginnings: Discoveries and Triumphs in the Newborn ICU .